Thanks to Aralis for the heads up on this. The winner could have the experience of a lifetime!. PRELIMINARY INFORMATION: NO PURCHASE NECESSARY. A purchase will not improve your chances of winning. Void where prohibited. The "Green Book Unexpected Friendship" ("Contest") will begin on October 29, 2018 at 12:01 A.M. PT and end on November 7, 2018 at 6:00 PM PT ("Contest Period"). All times in the Contest refer to Pacific Time ("PT"). Odds of winning depend upon the number of eligible Entries (as defined below) received. Contest is subject to all applicable federal, state and local laws. ELIGIBILITY: Open only to permanent, legal United States residents who are physically residing in one (1) of the forty-eight (48) continental United States or the District of Columbia (excluding Alaska, Hawaii, Puerto Rico, Guam, the Virgin Islands and other United States territories), and who are eighteen (18) years of age or older and the age of majority in their state of residence as of the start of the Contest Period. Officers, directors, and employees of Contest Entities (as defined below), members of these persons' immediate families (spouses and/or parents, children, and siblings, and each of their respective spouses, regardless of where they reside), and/or persons living in the same households as these persons (whether or not related thereto) are not eligible to enter or win the Contest. Contest Entities, as referenced herein, shall include Universal Pictures Marketing, a division of Universal Film Exchanges LLC ("Sponsor"), and each of their respective parent, subsidiary, and affiliate companies, and each of their respective administrative, advertising, and promotion agencies, and any other entity involved in the development, administration, promotion, or implementation of the Contest. TO ENTER: As part of your Entry (as defined below), you will be required to submit a photo ("Photo") on the following theme: "A friendship that developed in an unexpected way" Photo must have been taken by you, and you must have permission of any person who appears or is identified in Photo. If any minors appear in Photo, the entrant must be that minor's parent and/or legal guardian. Professional Photos and Photos with watermarks are not eligible. 2. Instagram: During the Contest Period, use your personal Instagram account to upload your Photo of you and a friend whose friendship developed in an unexpected way to Instagram. Within the caption of the post, include a Statement that describes the story of how the friendship developed and include the hashtags #GreenBookMovie and #UnexpectedFriendshipContest (the "Instagram Entry"). Instagram Entry must include the hashtags #GreenBookMovie and #UnexpectedFriendshipContest or Instagram Entry will not be valid. If your Instagram account is set to the "Posts are Private" setting and Sponsor cannot access your Photo, your Instagram Entry may be disqualified and rejected as ineligible for consideration in the Contest. An Instagram account is required to enter the Contest via Instagram. If you do not already have an Instagram account, you can go to www.instagram.com to create a free Instagram account. If you choose to submit an Instagram Entry via your web-enabled mobile device, data rates may apply. See your wireless service provider for details on rates and capabilities. Twitter Entry, and Instagram Entry may collectively be referred to herein as "Entry" or "Entries." All Entries become the property of Sponsor and will not be acknowledged or returned. Photo, and Statement may collectively be referred to herein as "Submission" or "Submissions." By entering the Contest, entrants grant Sponsor the non-exclusive, royalty-free, and irrevocable rights to use, reproduce, copy, publish, display, distribute, perform, translate, adapt, modify, and otherwise exploit the Submission and to incorporate the Submission in other works in any and all markets and media worldwide in perpetuity. Entrants warrant that they have the sole and exclusive right to grant such rights to Sponsor and that the Sponsor's reproduction, publishing, displaying, and/or other use of the Submission will not infringe on any rights of third parties, including, without limitation, copyright, trademark, privacy, or publicity, or create claims for defamation, false light, idea misappropriation, intentional or negligent infliction of emotional distress, or breach of contract. If any Submissions contain material that is violent, pornographic, obscene, illegal, inappropriate, or racially or morally offensive or if any Submissions do not comply with these Official Rules or meet Sponsor's standards for any reason, as determined by Sponsor in its sole discretion, such Submissions (and the related Entries) may be rejected as ineligible for consideration. Entries must comply with all applicable laws, rules, and regulations. Sponsor shall have no obligation to copy, publish, display, or otherwise exploit the Submissions. • Except for elements that are in the public domain, entrant's Submission is wholly original and does not, and Sponsor's reproduction, publishing, displaying and/or other use of such Submission will not, infringe on any rights of third parties, including, without limitation, copyright, trademark, moral rights, privacy, or publicity, or create claims for defamation, false light, idea misappropriation, intentional or negligent infliction of emotional distress, or breach of contract. For the purposes of clarity, modifying, enhancing or altering a third party's preexisting work does not qualify as Entrant's original creation. • Entrant is under no restriction, contractual or otherwise, that will prevent Sponsor's use of the Submission and the Submission is free of any and all liens, encumbrances and claims of third parties. • Entrant's Submission was created by entrant and entrant has the permission of any person who appears in entrant's Submission or who entrant identifies or otherwise refers to in entrant's Submission. Entrant has the written consent of the parent or legal guardian of any minor that appears in the Submission. Sponsor reserves the right to request proof of these permissions/consents in a form acceptable to Sponsor from any entrant at any time. • Before involving any other person in the Submission, entrant disclosed to such other persons these Official Rules and that the entrant alone is participating in the Contest and the entrant alone will win the Prize (as defined below) if the + • Submission is determined to be the prize winner. • Entrant has secured all necessary permissions, location releases and licenses for any visual and audio material contained in the Submission. • Entrant's Submission does not contain or reference any brand names, products or services of any company (apart from Sponsor's) or any third party trademarks, copyrights, logos, trade dress or promotion of any brand, product or service. • Entrant's Submission does not create or imply any association or endorsement between Sponsor and any individual, entity or products and services. • Entrant's Submission does not advertise entrant's or any third party's products or services. • Entrant's Submission does not contain any personal information (e.g., your name, e-mail address or phone number); if the Submission contains personal information, it is entrant's sole responsibility to remove all such personal information from the Submission before uploading the Submission. • Entrant's Submission is suitable for public presentation and does not contain content, images or other material that: (i) is misleading, fraudulent, deceptive, inappropriate, indecent, lewd, obscene, offensive, sexually explicit, pornographic, harmful, tortious, threatening, harassing, hateful, disparaging, defamatory, slanderous or libelous, (ii) depicts an unsafe practice or activities that are restricted, prohibited, illegal or in violation of or contrary to any applicable federal or state laws or regulations (including without limitation, the consumption of alcohol or any other controlled substances), or (iii) reflects, advocates or promotes bigotry, racism, hatred, harm or exploitation of or against any class, group or individual, discrimination based on race, gender, religion, nationality, disability, sexual orientation or age. • Entrant's Submission has not been created professionally and has not been submitted in any other contest, promotion or otherwise published for sale. • Entrant owns or controls all right, title and interest in and to the Submission including, but not limited to, its copyright. • Entrant's Submission does not contain any virus, bugs or other deleterious material at the time when it was uploaded. • Entrant's Submission is submitted in compliance with the format and other terms and conditions set forth on Instagram or Twitter (as applicable); such requirements being made a part of these Official Rules and incorporated herein by reference. If any Submission contains material that does not comply with these Official Rules, the Submission Requirements or meet the Sponsor's standards for any reason, as determined by Sponsor in its sole and absolute discretion, such Submission may be rejected as ineligible for consideration. If any Submission is unable to be viewed by Sponsor for any reason whatsoever outside of Sponsor's control, such Submission will be disqualified (and the Released Parties [as defined below] will not be responsible or liable for any such inability). You may enter once during the Contest Period. Multiple Entries received from any person beyond this limit will void all such additional Entries. Entries must be received before November 7, 2018 at 6:00 PM PT to be eligible for the Contest. Sponsor's computer shall be the official timekeeper for all matters related to this Contest. Any person found to have used multiple accounts to enter will be deemed ineligible and disqualified. Entries generated by a script, macro, or other automated means or by any means that subverts the entry process will be disqualified. Entries that are incomplete, garbled, corrupted, or unintelligible for any reason, including, but not limited to, computer or network malfunction or congestion, are void and will not be accepted. In case of a dispute over the identity of an entrant, the authorized account holder of the Twitter account, or Instagram account used to enter will be deemed the entrant. "Authorized account holder" of a Twitter account is defined as the person who is assigned to a Twitter account by the Twitter Website. "Authorized account holder" of an Instagram account is defined as the person who is assigned to an Instagram account by the Instagram website. Entry constitutes permission (except where prohibited by law) to use entrant's name, Twitter, and/or Instagram user name (if applicable), city, state, likeness, image, and/or voice for purposes of advertising, promotion, and publicity in any and all media now or hereafter known, throughout the world in perpetuity, without additional compensation, notification, permission, or approval. JUDGING: A panel of qualified judges selected by Sponsor ("Judges") will review the eligible Entries received during the Contest Period and select a potential winner ("Winner") on or about November 8, 2018 based on the following judging criteria ("Judging Criteria"): Execution of the theme (50%); Originality (25%); and Creativity of storytelling (25%). In the event of a tie, the Judges will break the tie by selecting the tied entrant who received the highest points from the Judges for Originality as the potential Winner. In the event a tie remains, the tied Entries will be judged by an additional tie-breaking judge, using the Judging Criteria, to determine which of the tied entrants will be the potential Winner. Decisions of Sponsor and Judges are final and binding with respect to all matters related to the Contest. Winning is subject to verification of eligibility. Sponsor reserves the right to extend the Contest Period if in their sole discretion, Sponsor does not receive a sufficient number of eligible and qualified Entries. Potential Winner will be notified by a Direct Message on Twitter or Direct Message on Instagram. Potential Winner may be required to execute and return an affidavit of eligibility, release of liability, and, except where prohibited, publicity release (collectively, "Contest Documents") within one (1) day of such notification. Noncompliance within this time period, with these Official Rules or the return of or inability to deliver any Prize (as defined below) or prize notification may result in disqualification and, at Sponsor's discretion, and time permitting, an alternate potential Winner may be selected from among all eligible remaining Entries based on the Judging Criteria. PRIZE: There will be one (1) prize awarded ("Prize"). The Prize shall consist of a two (2) night trip to New York City, NY to attend the "Green Book" premiere at a location in New York City, NY to be determined by Sponsor (the "Trip") for Winner and one (1) guest ("Guest"). The Trip includes roundtrip economy class airfare for Winner and one (1) Guest from a major airport located within the United States to New York City, NY (Estimated Retail Value ["ERV"] of round trip economy class airfare for two (2): $1,200); roundtrip airport transfers in New York City, NY between the airport and hotel room accommodations for Prize Winner and one (1) Guest (ERV of roundtrip airport transfers: $250); one (1) standard, double occupancy hotel room accommodations in the New York City, NY area for the duration of the Trip (ERV of hotel room accommodations for two (2) nights: $1000) and two (2) tickets to attend the premiere of "Green Book" presently scheduled to take place on Thursday, November 13, 2018 (the "Premiere") (ERV of Premiere tickets: $40). The total ERV of Prize is Two Thousand Four Hundred Ninety United States Dollars (USD $2,490). Actual Retail Value ("ARV") of Prize may vary. Any difference between ERV and ARV will not be awarded. If prize includes a Trip, ARV may vary based on, among other things, availability, existing rates at time of booking, dates of travel, and point of departure. For any Prize with an ARV of six hundred dollars ($600) or more, Sponsor will furnish an Internal Revenue Service Form 1099 to Winner for the ARV of Prize for the year in which Prize was won. All details of Prize will be determined by Sponsor in its sole discretion. Sponsor reserves the right to substitute Prize (or portion thereof) with a similar prize (or prize element) of comparable or greater value. All taxes and other expenses, costs, or fees associated with the acceptance and/or use of Prize are the sole responsibility of Winner. Prize cannot be transferred by Winner or redeemed for cash and is valid only for the items detailed above, with no substitution of Prize by Winner. If Prize is unclaimed within a reasonable time after notification from Sponsor, as determined by Sponsor in its sole discretion, it will be forfeited, and time permitting, an alternate Winner may be selected from the remaining eligible entries at Sponsor's sole discretion. Winner must be able to travel from November 12, 2018 through November 14, 2018 (or on such other dates designated by Sponsor). The Trip awarded to the Winner must be taken within dates provided by the Sponsor or the Prize will be forfeited. Travel arrangements must be made through Sponsor's agent, on a carrier of Sponsor's choice. Certain travel restrictions and black out dates may apply. Sponsor has the right in its sole discretion to substitute ground transportation for air transportation depending on Winner's place of residence. Winner and Guest must travel together on the same itinerary, including the same departure date, destination and return date, and must have valid travel documents (e.g., valid government issued photo ID and/or passport) prior to departure, and failure to do so will result in forfeiture of Prize. Sponsor will not replace any lost or stolen tickets, travel vouchers or certificates. Once travel commences, no unscheduled stopovers are permitted; if an unscheduled stopover occurs, full fare will be charged from stopover point for the remaining segments, including return, of the trip. Sponsor is not liable for any expenses incurred as a consequence of flight cancellation/delay. Trip may not be combined with any other offer and travel may not qualify for frequent flyer miles. All travel and lodging will be at the risk of Winner and Guest. Winner is solely responsible for all expenses and costs associated with acceptance and/or use of Prize not specifically stated herein as being awarded, including, without limitation any and all taxes and other expenses, costs, or fees associated with the acceptance and/or use of Prize, travel insurance, ground transportation (other than as described above), security and airport fees, taxes, insurance, gasoline, meals, gratuities, and souvenirs. Sponsor shall have the right, but not the obligation, to make any deductions and withholdings that Sponsor deems necessary or desirable under applicable federal, state and local tax laws, rules, regulations, codes or ordinances. Prize cannot be transferred or substituted by Winner or redeemed for cash and is valid only for the items detailed above, with no substitution of Prize by Winner. Sponsor reserves the right to substitute a similar prize (or prize element) of comparable or greater value. If Prize is unclaimed within a reasonable time after notification from Sponsor, as determined by Sponsor in its sole discretion, it will be forfeited, and time permitting, an alternate Winner may be selected from the remaining eligible Entries at Sponsor's sole discretion. The Premiere has not been confirmed, but is tentatively scheduled to take place on November 13, 2018 in New York City, NY (the time and place are subject to change in Sponsor's sole and absolute discretion) and at a venue to be determined by Sponsor (in its sole and absolute discretion). The Premiere is subject to cancellation and nothing herein shall be construed to require the Sponsor, its parent, subsidiary and/or affiliated entities to hold the Premiere. In the event that the Premiere does not or cannot take place as scheduled or at all, for reasons including but not limited to scheduling conflicts, cancellations, postponement, an event of force majeure or for any other reason, Winner shall be given the remaining items/elements of the Prize, and Sponsor's obligation as to the Premiere shall be nullified and no other or additional compensation shall be awarded. Premiere theatre and seating assignments will be determined at Sponsor's sole and absolute discretion. Sponsor does not guarantee the attendance of any celebrities, talent, or filmmakers at the Premiere, which shall be at such celebrities', talents', or filmmakers' sole discretion(s). Furthermore, Sponsor does not guarantee that the Winner or Guest will interact or take photos with or of any celebrity, talent, or filmmakers during the Premiere. In the event that the Winner or his/her Guest engage in behavior at the Premiere that (as determined by Sponsor in its sole and absolute discretion) is obnoxious or threatening, illegal or that is intended to annoy, abuse, threaten or harass any other person, Sponsor reserves the right to remove the Winner and his/her Guest from the Premiere with no further compensation. The Winner and Guest are advised to arrive at least one (1) hour prior to the Premiere screening start time. No one will be admitted without a ticket or after the Premiere screening begins. Premiere screening tickets do not gain entrance to the Premiere after party (if any). Sponsor shall have no responsibility or liability for cancellations, delays, or any other change by any company or person providing any element of Prize, and are not responsible or liable for any expenses incurred as a consequence thereof. If Winner chooses to partake in any portion of the Prize without one (1) Guest, the Prize will be awarded in increments suitable for the actual number of travelers with no substitute prize or compensation being provided to the Winner. Guest, if any, may be required to execute and return releases of liability and, except where prohibited, publicity releases (collectively, "Guest Documents"), which must be returned with the Contest Documents, or Guest portion of the Prize will be forfeited. Guest must be eighteen years of age (18) and the age of majority in his/her jurisdiction of residence, unless such minor travel companion is the child or legal ward of the Winner and Winner must execute and return the Guest Documents on such minor's behalf. CONDITIONS: By entering the Contest, each entrant agrees for entrant and for entrant's heirs, executors, and administrators (a) to release and hold harmless Contest Entities, Twitter, Instagram, and each of their respective officers, directors, and employees (collectively, "Released Parties") from any liability, illness, injury, death, loss, litigation, or damage that may occur, directly or indirectly, whether caused by negligence or not, from such entrant's participation in the Contest and/or his/her acceptance, possession, use, or misuse of Prize or any portion thereof (including any travel related thereto); (b) to indemnify Released Parties from any and all liability resulting or arising from the Contest and to hereby acknowledge that Released Parties have neither made nor are in any manner responsible or liable for any warranty, representation, or guarantee, express or implied, in fact or in law, relative to Prize, including express warranties provided exclusively by prize supplier that are sent along with Prize; (c) except where legally prohibited, Winner grants (and agrees to confirm that grant in writing) permission for the Contest Entities and those acting under their authority to use his/her name, photograph, voice, statements and/or likeness, for advertising, trade and/or publicity purposes without additional compensation in all media now known or hereafter discovered, worldwide, including, without limitation, on the World Wide Web, without notice, review or approval; and (d) to be bound by these Official Rules and to waive any right to claim any ambiguity or error therein or in the Contest itself, and to be bound by all decisions of the Sponsor, which are binding and final. Failure to comply with these conditions may result in disqualification from the Contest at Sponsor's sole discretion. Entrants and Winner must also be of good moral character. Sponsor reserves the right to exclude anyone convicted of a crime (other than moving violations of a misdemeanor type that did not involve personal injury, drugs, or alcohol). At Sponsor's request, potential Winner must be willing to sign an affidavit attesting that such entrant meets all of the foregoing eligibility requirements and possibly undergo a background check conducted by Sponsor. Each entrant expressly acknowledges that Sponsor does not owe entrant a duty of confidence (or fiduciary duty or the like) with regard to entrant's Submission and that Sponsor has wide access to ideas, stories, photos, videos, designs and other literary/artistic materials submitted to it from outside sources or being developed by its own employees and that such ideas/stories/photos/videos/designs/literary/artistic materials may be competitive with, similar to (or even identical to) entrant's Submission and that Sponsor shall have no liability to entrant or any third party in conjunction therewith. Each entrant acknowledges and agrees that such Entrant will not be entitled to any compensation as a result of any Sponsor's use of any such similar or identical material. Each entrant acknowledges and agrees that the Sponsor does not now and shall not have in the future any duty or liability, direct or indirect, vicarious, contributory, or otherwise, with respect to the infringement or protection of the copyright in and to the Submission. Without limiting the generality of the foregoing, Entrant understands and agrees that Sponsor's use of material containing features or elements similar or identical to those contained in the Submission shall not obligate Sponsor to negotiate with entrant nor entitle entrant to any compensation if Sponsor determines that it has an independent legal right to use such other material not derived from entrant (either because such features or elements are not new or novel, were not originated by entrant, or were heretofore or may hereafter be independently created and submitted by other persons or sources, including Sponsor's employees) and Sponsor shall have no liability to entrant or any third party in conjunction therewith. Finally, each entrant acknowledges that, with respect to any claim by entrant relating to or arising out of Sponsor's actual or alleged exploitation or use of any Submission or other material submitted in connection with the Contest, the damage, if any, thereby caused to the applicable Entrant will not be irreparable or otherwise sufficient to entitle such entrant to seek injunctive or other equitable relief. ADDITIONAL TERMS: Sponsor reserves the right to permanently disqualify from any promotion any person they believe has intentionally violated these Official Rules. Any attempt to deliberately damage the Contest or the operation thereof is unlawful and subject to legal action by Sponsor, who may seek damages to the fullest extent permitted by law. The failure of Sponsor to comply with any provision of these Official Rules due to an act of God, hurricane, war, fire, riot, earthquake, terrorism, act of public enemies, actions of governmental authorities outside of the control of Sponsor (excepting compliance with applicable codes and regulations), or other "force majeure" event will not be considered a breach of these Official Rules. Released Parties assume no responsibility for any injury or damage to entrants' or to any other person's computer relating to or resulting from entering or downloading materials or software in connection with the Contest. Released Parties are not responsible for telecommunications, network, electronic, technical, or computer failures of any kind; for inaccurate transcription of entry information; for errors in any promotional or marketing materials or in these Official Rules; for any human or electronic error; or for entries that are stolen, misdirected, garbled, delayed, lost, late, damaged, or returned. Sponsor reserves the right to cancel, modify, or suspend the Contest or any element thereof (including, without limitation, these Official Rules) without notice in any manner and for any reason (including, without limitation, in the event of any unanticipated occurrence that is not fully addressed in these Official Rules). In the event of cancellation, modification, or suspension, Sponsor reserves the right to select Winner in a random drawing from among all eligible, non-suspect entries received prior to the time of the event warranting such cancellation, modification, or suspension. Notice of such cancellation, modification, or suspension will be posted at www.greenbookmovie.com/rules. Sponsor may prohibit any entrant or potential entrant from participating in the Contest, if such entrant or potential entrant shows a disregard for these Official Rules; acts with an intent to annoy, abuse, threaten, or harass any other entrant, Sponsor, or Sponsor's agents or representatives; or behaves in any other disruptive manner (as determined by Sponsor in its sole discretion). Sponsor reserves the right to modify these rules for clarification purposes without materially affecting the terms and conditions of the Contest. DISPUTES: THE CONTEST IS GOVERNED BY, AND WILL BE CONSTRUED IN ACCORDANCE WITH, THE LAWS OF THE STATE OF NEW YORK, AND THE FORUM AND VENUE FOR ANY DISPUTE SHALL BE IN NEW YORK, NEW YORK. IF THE CONTROVERSY OR CLAIM IS NOT OTHERWISE RESOLVED THROUGH DIRECT DISCUSSIONS OR MEDIATION, IT SHALL THEN BE RESOLVED BY FINAL AND BINDING ARBITRATION ADMINISTERED BY JUDICIAL ARBITRATION AND MEDIATION SERVICES, INC., IN ACCORDANCE WITH ITS STREAMLINED ARBITRATION RULES AND PROCEDURES OR SUBSEQUENT VERSIONS THEREOF ("JAMS RULES"). THE JAMS RULES FOR SELECTION OF AN ARBITRATOR SHALL BE FOLLOWED, EXCEPT THAT THE ARBITRATOR SHALL BE EXPERIENCED AND LICENSED TO PRACTICE LAW IN NEW YORK. ALL PROCEEDINGS BROUGHT PURSUANT TO THIS PARAGRAPH WILL BE CONDUCTED IN THE COUNTY OF NEW YORK. THE REMEDY FOR ANY CLAIM SHALL BE LIMITED TO ACTUAL DAMAGES, AND IN NO EVENT SHALL ANY PARTY BE ENTITLED TO RECOVER PUNITIVE, EXEMPLARY, CONSEQUENTIAL, OR INCIDENTAL DAMAGES, INCLUDING ATTORNEY'S FEES OR OTHER SUCH RELATED COSTS OF BRINGING A CLAIM, OR TO RESCIND THIS AGREEMENT OR SEEK INJUNCTIVE OR ANY OTHER EQUITABLE RELIEF. WINNER ANNOUNCEMENT: For the name of the Winner, available after November 22, 2018, send a self-addressed, stamped envelope to be received by January 22, 2019 to: Green Book Unexpected Friendship Contest, c/o Universal Pictures Marketing, a division of Universal Film Exchanges LLC, 100 Universal City Plaza, Building 2160, Universal City, CA 91608, Attn: Rob Mankin. This Contest is in no way sponsored, endorsed or administered by, or associated with Twitter, or Instagram. Entrants are providing information to Sponsor and not to Twitter, or Instagram. © Universal. Images © Universal. 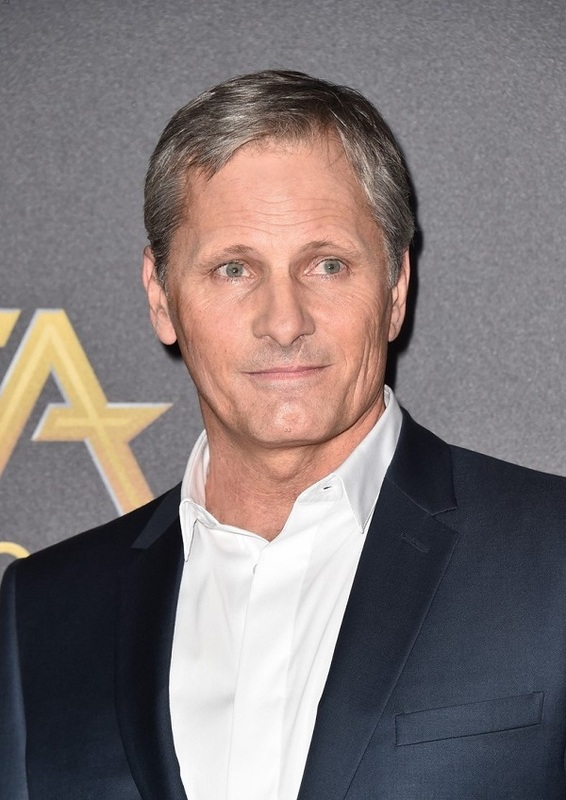 Our thanks to Chrissie for bring us the news from the San Francisco Film Society that Viggo will be participating in a special event on 20 November. 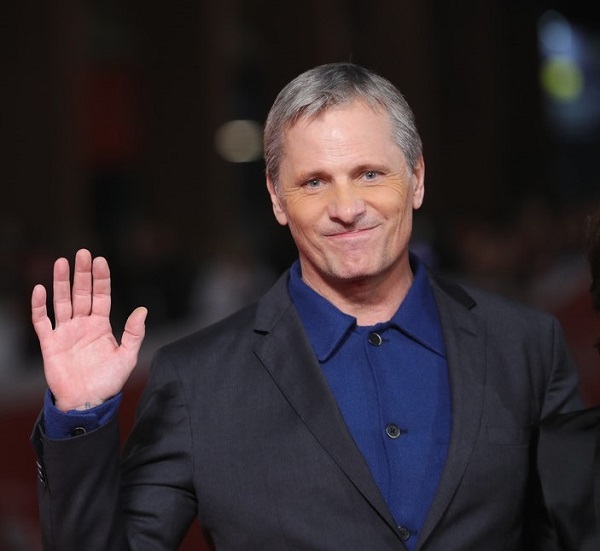 Actor Viggo Mortensen will participate in an onstage conversation prior to the film. Join SFFILM for a special onstage tribute to acclaimed actor and artist Viggo Mortensen, featuring an advance screening of his latest film Green Book. 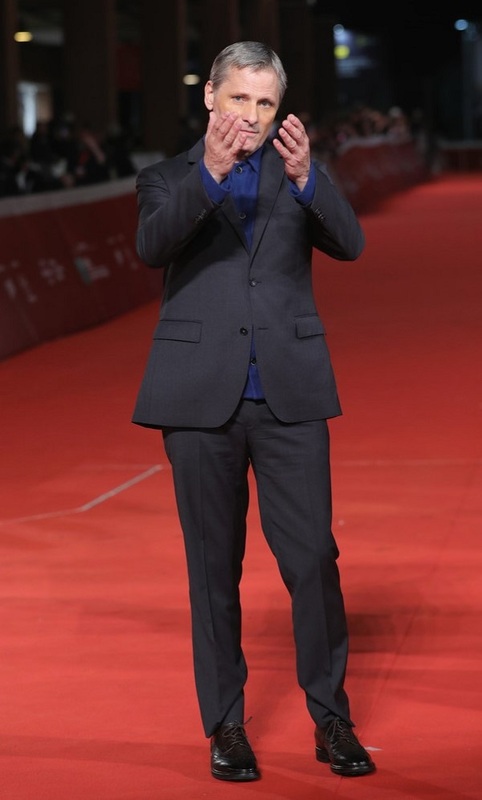 Mortensen has consistently earned acclaim for his work in a wide range of films, including Captain Fantastic, A Dangerous Method, Eastern Promises, A History of Violence, The Road, Appaloosa, Far from Men, The Two Faces of January, Jauja, Captain Alatriste: The Spanish Musketeer, and The Lord of the Rings trilogy. Mortensen is also a poet, photographer and painter. He is the editor of Perceval Press, an independent publishing house, which he founded in 2002. You can check out getting tickets HERE. © SFFILM. Images © Getty. Universal/Comcast Corp. just dropped word that they will be platforming Green Book five days before its national Thanksgiving weekend debut. To wit, the buzzy and crowd-pleasing dramedy, starring Viggo Mortensen and Mahershala Ali (both of whom offer wonderful movie star turns) will open in limited release on the weekend of Nov. 16 with the intent of going wide as planned on Nov. 21. The reasoning is simple, namely that the festival darling and stealth Oscar contender will play like gangbusters with paying consumers. I saw Green Book last night, and it's a very good movie. Universal knows it and are attempting to get the word out accordingly. If I were Universal, I'd seriously consider holding a national sneak preview on the weekend of the 16th, perhaps paired with First Man as a kind of old-school double-feature sneak preview. I'm curious how the pundits will react, as it's the kind of racially-charged dramedy that will allow white folks (especially older white folks) to walk out of the theater feeling a lot better about themselves than they might after BlacKkKlansman or The Hate U Give. That it is a "safer" movie than Sorry to Bother You or Blindspotting does not change the fact that it's a solid piece of intelligent and entertaining feel-good studio programming. We shouldn't have to choose only between righteously angry political screeds and (at best) metaphorically-inclined blockbuster action fantasies. It is both the kind of audience-pleaser that could end up as a major Oscar player and the kind of movie that ends up being tagged as "the enemy" (like The Blind Side). To be fair, I'm sure Universal would be thrilled with even 1/2 of The Blind Side's $257 million domestic and $309m worldwide cume. With the caveat that I still enjoy The Blind Side on its own terms (for that matter, I still think Precious is terrific), this isn't a white savior pic. It's a buddy comedy, one that tells a true-life tale that reverses the Driving Miss Daisy template. Mortensen plays a job-to-job patriarch who takes an eight-week gig to drive around Ali's cultured, refined and refreshingly eccentric concert pianist as the musician goes on a tour in the heart of the Deep South. Yes, there is peril involved, and the title references a guide to hotels and restaurants along the way that will safely serve black people. Green Book is the kind of film that ends up legging it for weeks because it's good and because it works as a consensus choice for large groups and family movie outings. It's not a cartoon, a horror movie, a superhero flick or a musical biopic. Like The Blind Side, it has the potential to be the kind of movie that may not be everyone's first choice, but rather than choice that everyone in the group can agree upon. Paramount is hoping that their Mark Wahlberg/Rose Byrne foster care dramedy Instant Family (opening wide on Nov. 16 and which I have yet to see) fits that definition as well, and I imagine that Paramount is hoping that Universal doesn't take my national sneak preview suggestion to heart. However, with essentially nothing opening between Thanksgiving and Dec. 14, and with much of the year-end stuff conventionally franchise-y faire (Aquaman, Bumblebee, Mortal Engines, etc. ), there may be room for two variations on Blind Side or Wonder between mid-November and mid-January. Sure, I might argue that something should move from Thanksgiving (which is super crowded) and that Dec. 14-to-Dec. 25 blitz and instead open in those first two weekends of December, but the absence of early December biggies may allow the Thanksgiving flicks (Creed II, Ralph Wrecks the Internet, Green Book and Robin Hood) to leg out accordingly. That might not help the Christmas biggies, but I digress. We're still looking at an Oscar race comprised of A Star Is Born, BlacKkKlansman, Green Book, Black Panther, The Favourite (which is a nasty delight while also being Lanthimos's most overtly mainstream release yet) and Alfonso Curon's Netflix original Roma. As hoped for, the bulk of the major Oscar contenders will likely be comprised of major studio fare, and yes I count Focus Features (which is, like Universal, owned by Comcast) and Fox Searchlight as arms of a bigger major studio operation. Universal knows Green Book is a buzzy winner, and they are banking on a big per-theater average and strong word-of-mouth to power the film into its national Thanksgiving debut. © Forbes. Images © Universal. Thanks again to Chrissie for bringing us a few more images from the "Green Book" red carpet.